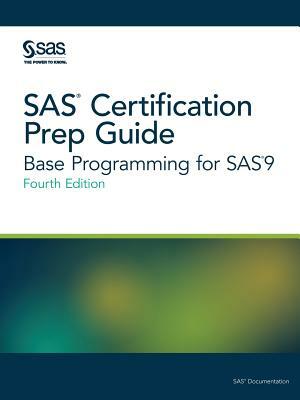 Prepare for the SAS Base Programming for SAS 9 exam with the official guide by the SAS Global Certification Program. New and experienced SAS users who want to prepare for the SAS Base Programming for SAS 9 exam will find this guide to be an invaluable, convenient, and comprehensive resource that covers all of the objectives tested on the exam. Now in its fourth edition, the guide has been extensively updated, and revised to streamline explanations. Major topics include importing and exporting raw data files, creating and modifying SAS data sets, and identifying and correcting data syntax and programming logic errors. The chapter quizzes have been thoroughly updated and full solutions are included at the back of the book.